Editorial Disclaimer: This post may include references to offers from our partners. We may receive compensation when you click on links to specific products. The opinions expressed here are ours alone and at no time has the editorial content been provided, reviewed, or approved by any issuer. Who Does The Quicksilver Card Appeal to Most? Decision Time: Is the Capital One Quicksilver the Right Card for You? Most cash rewards credit cards to their best to keep things simple for their customers. They want to make the experience easy to use and to give their customers plenty of clear benefits. One card that is doing a very good job of attracting new customers is the Capital One Quicksilver Cash Rewards credit card. This is a cash rewards card that has several appealing features, and you will be able to take advantage of it right away if you decide to apply. Before applying for the credit card, you will want to know every detail of what it has to offer. 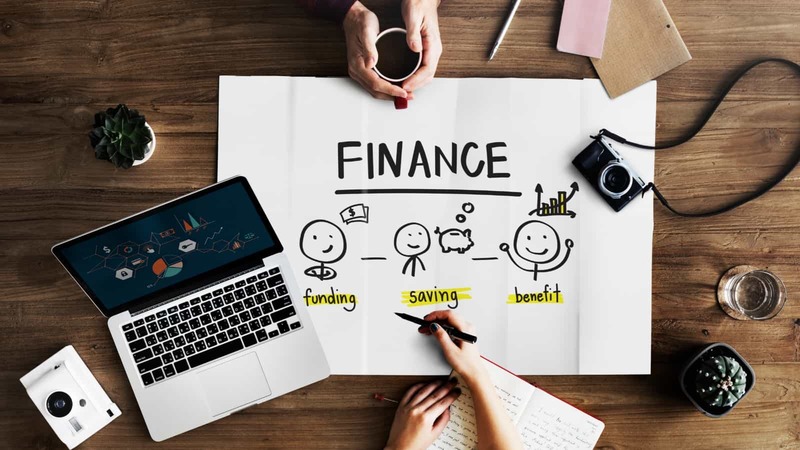 There are a plethora of different options when choosing a cash rewards credit card, so there is no reason to simply choose the first one that catches your eye. Take the time to look at this credit card thoroughly as we examine everything that it can offer you. You will be able to make an informed decision once you have all of the facts. You’ll earn $150 cash rewards after you spend $500 in the first 3 months. You’ll earn 1.5X points on every purchase. Intro APR offer. No limits on earning points. No rotating categories. This is a good no-fee cash back credit card. It has a decent introductory offer and earns 1.5% back with no annual fee. Overall, the prices and fees that are associated with this credit card are very reasonable. One of the first things that you will see is that this credit card has no associated annual fee. This is excellent, as it allows you to sign up without feeling like you are taking on any type of financial burden. The lack of an annual fee is always a welcome sight, and it is a tick in the positive column for this cash rewards credit card. You also won't have to pay out any pesky foreign transaction fees. If you are among the millions of people who travel abroad on a semi-regular basis, then this is going to be a real benefit to you. Many comparable cards will charge very high foreign transaction fees on every purchase that you make while outside of the country. This card avoids any of those problems and keeps things very simple for you, which makes it a good choice for people who travel. One fee that you will need to take note of is the balance transfer fee. Of course, most credit card companies do have some type of balance transfer fee. The fee on this credit card is set at 3%, and this is within a normal range. It is one of the few fees that you are likely to pay while using this credit card, so this card still comes out ahead of much of the competition in the pricing and fees department. The introductory APR is stellar for this cash rewards credit card, too. For a period of 15 months, you will be able to take advantage of this. 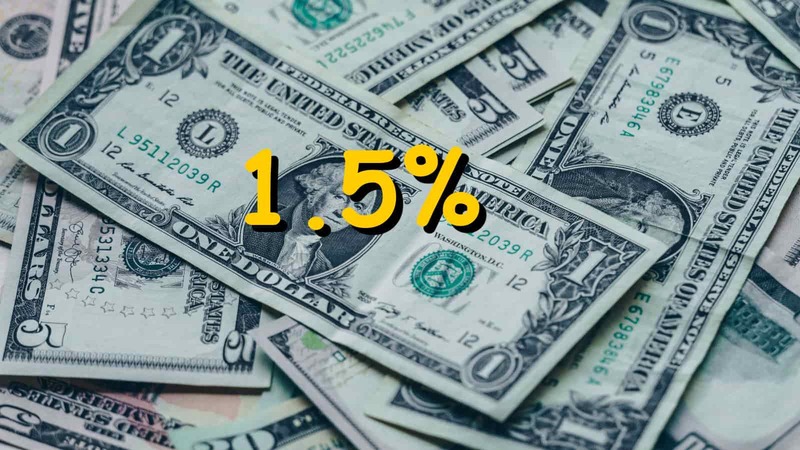 Avoiding high interest rates is always nice, but this introductory rate is especially useful. The introductory APR works on both new purchases and balance transfers, as well. This means that the savvy people among us could potentially benefit from transferring the balance of old credit cards onto this new one. Your APR will be at a normal rate once the 15-month period has finished. This will work out fairly nicely for you, and you won't feel like the normal APR is too high or anything. It falls within the normal ranges for credit cards of this tier. This is not something to tout as an incredible APR, but it is not something that you will scoff at either. Most of the features of this credit card are associated with the rewards program. This is a credit card that offers you 1.5% cash rewards on all of your purchases. This is great, as it allows you to continually earn cash rewards no matter what you are buying. It is easy to use this as your everyday type of credit card for buying anything that is necessary. You will be getting a rather nice sign-up bonus opportunity when you go with this credit card, too. The sign-up bonus is not the highest in the world or anything, but it is very easy to get. You just need to spend a small amount of money within the first three months of having the card. Once you have met the requirements, you will receive a nice cash bonus. Managing your credit card account is going to be simple when you sign up for this one, too. You will have access to a convenient mobile app that you can use to check your balance and generally take care of all of your credit card needs. It makes things as easy as possible for anyone who is a busy professional. You will always have the time to check the app to see when your next payment is due, and you'll have an easy time keeping things in line. Customer service is very good for this credit card overall. You will be able to reach a customer service agent to assist you with any questions or problems that you may be experiencing. Both online chat and normal phone customer service agents are available to you. You can reach out for help 24/7, so you will never have to fret about questions being left unanswered. As you may expect with most of the best credit cards on the market, this card is going to come with several benefits for you to enjoy. You will be able to receive certain perks just from being a cardholder. The perks are all fairly standard ones that you will also receive from being a cardholder of many of the other popular cash reward credit card options. Even so, this is still going to be a nice benefit to you that you will wind up using fairly frequently. You will be able to receive purchase protection when you buy things using this credit card. If there are any issues with the item that you bought within 90 days, then you can be reimbursed for the cost of the item. This will cover stolen items and damaged items, so it will come in handy. Benefits like this allow you to shop with greater confidence, as you know that you are protected. This credit card offers you some travel protections, as well. Using your credit card to pay for a flight will give you baggage protection that can really come in handy. If your bags are lost or stolen, then you can be reimbursed by the credit card. In the unfortunate event that your luggage gets lost, you will at least be able to use the financial reimbursement to buy your stuff back. Your credit card will give you access to roadside assistance, too. If you break down while driving your rental car or your personal vehicle, then you can have help sent out to your location to take care of everything. These sort of benefits are not the reason that you sign up for a credit card, but they are nice little extras. It just gives you an increased peace of mind during certain situations. The rewards program is the big draw to this credit card. It is a simple but lucrative credit card that will allow you to earn 1.5% cash back rewards on all of your purchases. It does not matter what you are spending your money on. You can earn rewards on purchasing whatever you need to get, so you can use your card as you want to. People who do not like having to work within a rigid bonus category structure will really like this credit card. It gives you the power to earn the rewards without being boxed into specific categories. You can use the card to its full potential no matter what your spending habits are like. Simply use it as often or as little as you need to, and you are going to be rewarded either way. There are no limits set on how much you can earn through the rewards program, either. You will always be getting that standard 1.5% cash rewards rate while using this card. There is no annual fee to worry about, so it makes it simple to make use of this card as an everyday type of credit card. It can become a constant source of rewards and will work as a convenient addition to your wallet. Redeeming your rewards is fairly simple, too. You are going to have several options available to you when redeeming the rewards that you have earned. You can redeem the rewards for statement credits, gift cards, checks for the dollar amount that you are owed, and more. This makes it simple to do things in the way that appeals to you the most. You can redeem your rewards at any time, and you will be able to do so for any amount of money. There is no reward minimum that you will need to meet for redemption. If you have only earned $50.00 in cash rewards and you want to go ahead and redeem it, then you will have the option to do so. You can even redeem the rewards to pay for previous purchases that you have made or set up an automatic redemption option once certain thresholds have been met. The high cash back rewards rate of this credit card is going to be enough to pique the interests of many people. Being able to earn 1.5% cash back rewards on all of your purchases will undoubtedly come in handy. You can use your credit card with confidence when you have this one in your wallet. It is simple to use and offers you a steady stream of cash rewards. They don't set any earning limits on you either, so it is very simple to earn a lot of cash. If you use this card often enough, then you will find that the rewards will start to add up quickly. It is a very good credit card that can really prove its worth with regular use. Many people make this their everyday type of credit card because of how useful it is. The easy redemption options make it simple to use your rewards too. Setting up automatic rewards redemption conditions is easy, and you can choose to redeem rewards at any time too. You don't have to earn a high dollar amount of rewards in order to redeem them. Redeem your rewards whenever it is convenient to you. Prices and fees are very reasonable with this credit card, as well. You will not have to pay any type of annual fee to be a cardholder. You will be able to avoid foreign transaction fees on this card, too. It has a good normal interest rate and a stellar introductory APR. There is a balance transfer fee of 3%, but this is pretty standard and should not deter you at all. The useful benefits that are associated with this card are worth mentioning, too. You will be able to take advantage of purchase protection, baggage insurance, roadside assistance, and much more. These benefits are fairly standard, but they are useful additions to the experience. You will be able to benefit from having this card in your wallet. There are some credit cards out there that may offer a higher rewards potential. Certain cards can offer a flat 2% rate, but they may come with earning limits. Others may go as high as 5% cash back on certain categories, but they will also often impose some types of limits. Depending on how you are going to use your card, it is possible that a different cash rewards card could be more lucrative. Some credit cards that offer the bonus categories may appeal more to you. It depends on how you think about the situation. If you want to take the time to purchase things with your credit card in very particular ways, then you might be able to benefit more. Those who want a streamlined experience that just works will likely prefer the Capital One Quicksilver Cash Rewards credit card. In order to be approved for this credit card, you are going to want to have a good overall credit score. A credit score of around 690 or higher should allow you to be approved for this card. You want a score that falls in the good range and one that is excellent will make things even easier. Checking where your credit score is at ahead of applying is likely a good idea. 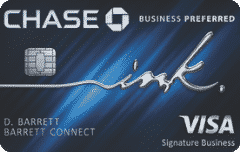 This credit card is going to really appeal to those who want a streamlined credit card experience. The people who do not like having to worry about bonus categories are going to find this card to be ideal. It offers you a standard cash back rate on all of your purchases. You do not have to worry about using your card in specific ways just to maximize your rewards potential. You will also see that this card will work well for anyone who needs a reliable everyday credit card. This is perfect for buying gas for your car or getting groceries for your home. You will be able to use this credit card in any way that you see fit. Earning rewards is going to be simple no matter what you buy, so you won't have to be worried about anything. You should consider the Chase Freedom Unlimited credit card as a good alternative. It also offers a standard 1.5% cash back rate on all of your purchases. It is actually a very comparable card and the two programs have several similarities. Some people may be better off with the Chase card because of how it works together with other cards in the Chase family. It's possible to transfer Chase Ultimate Rewards points earned from the Chase Freedom to a primary Chase card to redeem at higher values. 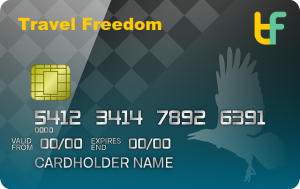 See our full review of the Chase Freedom Unlimited card. 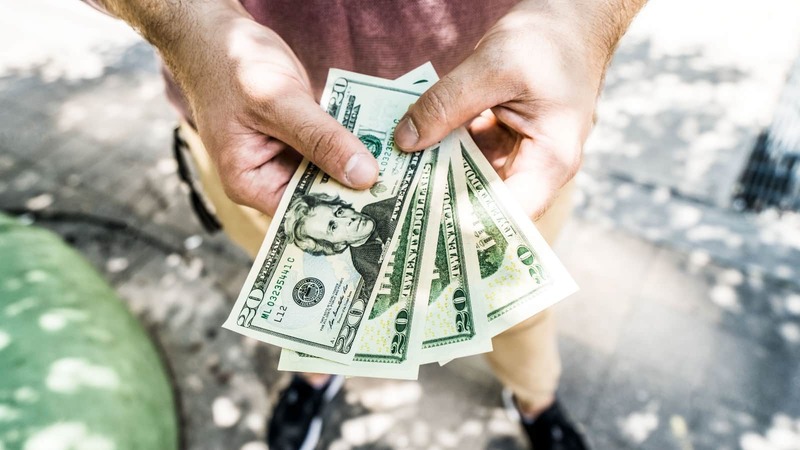 Depending on whether you have other Chase cards or not, you can potentially earn more rewards by redeeming your cash back rewards in certain ways. Using Chase cards of a higher tier along with this card can be lucrative. 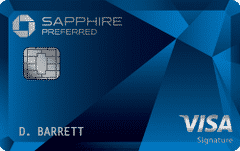 Either way, this card functions quite similarly to the Capital One Quicksilver Cash Rewards credit card. They are both superb options that are worth considering. 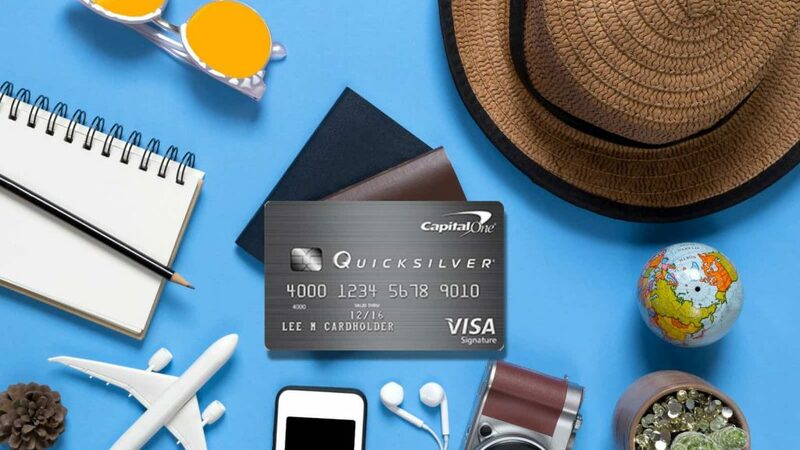 The Capital One Quicksilver Cash Rewards credit card just might be perfect for you. It depends on what you want out of your cash back credit card experience. If you want things to be simple while still being lucrative, then this card is going to work out nicely. It has robust redemption options and many great benefits for you to enjoy. The Capital One Quicksilver is a credit card that you can use to its full potential without having to deal with cumbersome bonus categories. It will work well for anyone who wants a credit card for making everyday purchases. Keep it in mind if you have been looking for a reliable credit card option. It has no annual fee, and it is very practical to use it in any way that you see fit. Chase Freedom vs Freedom Unlimited: Is One Better For You?